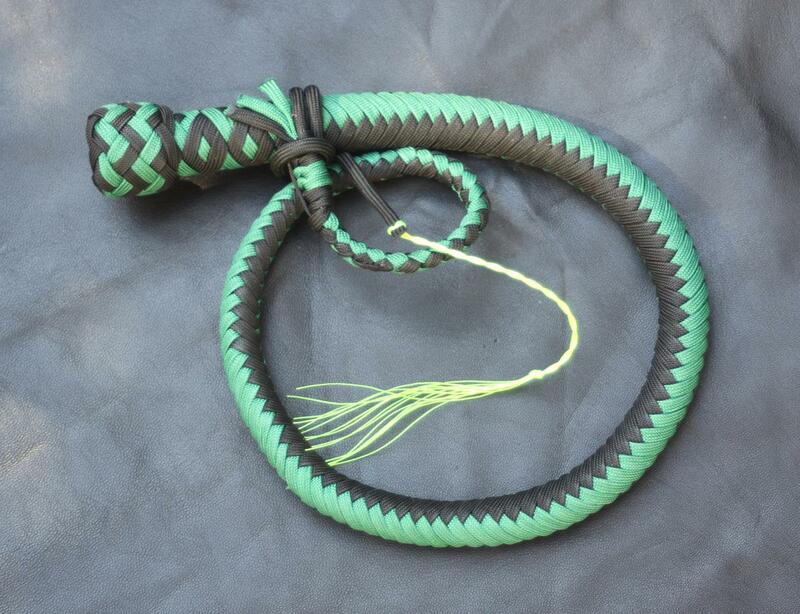 A 2 foot mini snake whip in kelly green and black. With a total length of 3.5 feet (2 foot thong + 12″ fall + 6″ cracker) this mini snake is ideal for use indoors and at play parties. 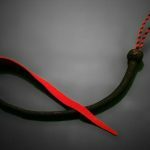 A great introduction to play whips for someone who finds a larger whip a bit intimidating, and a versatile addition to any established whip collection. Made to the same high standard as all of our handcrafted whips, this lead weighted 12 plait whip will crack with ease – if anyone tells you that short whips won’t crack, they’ve clearly not tried one of ours! 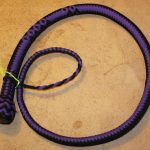 Be the first to review “Green & Black Mini Snake Whip” Click here to cancel reply.